Products from Lund’s Fisheries are among the finest, freshest and cleanest seafood and fish products available in today’s world market. Worldwide distribution of the finest fish and seafood products fresh from the source. 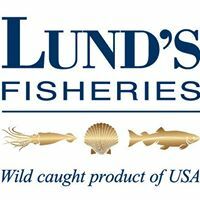 Since 1954 the Lund’s Fisheries brand and products have inspired trust and confidence worldwide. With locations on both the West and East coasts of the USA we are able to offer our customers a wide range of high quality land and sea frozen seafood produced by our company owned fishing vessels and the many independent vessels we deal with.